I work as a programmer and maker for artists around the world since 2006. My work as an artist has been presented 130 times and counting in North America and Europe. 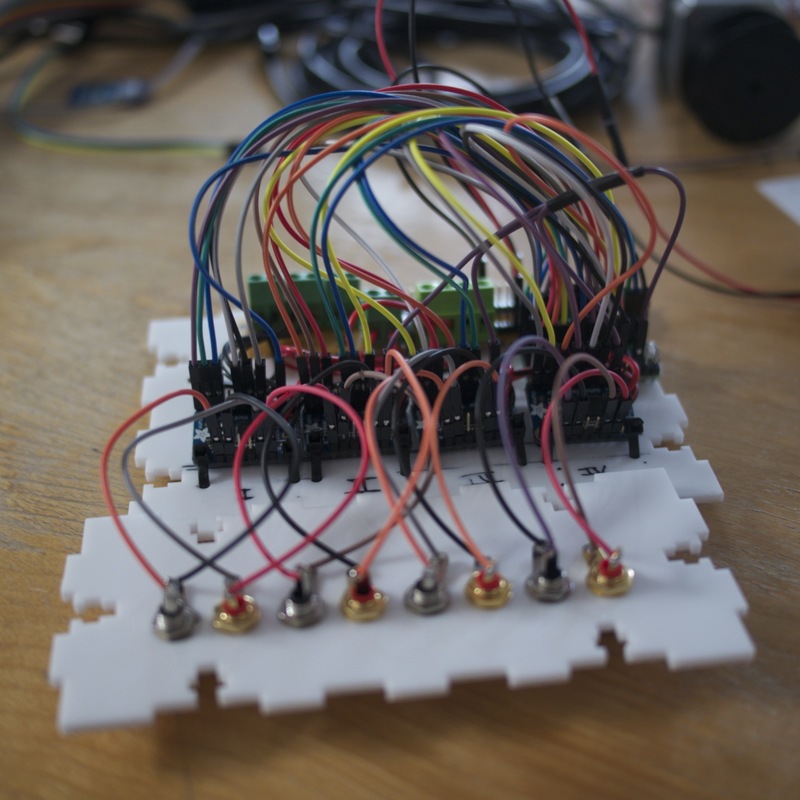 Prototyping of physical interfaces, sculpture making, new musical instrument making, wearable electronics making, repairs. Online and one to one teaching for artists around to world, since 2004. Interactive sound installations including Hélix, a piece for 20 automata of instruments made with slinkies that was presented in Mons (2012) and Montréal (2014) and Sphero-automaton, a molecular cuisine (spherification) automaton that produce sirup caviar from music. Sound art pieces and compositions including Hommage, a piece for 32 bassoons, that was premièred in Angoulème (2013), multiple pieces with live electronics including D'un autre côté, a piece for guitar, harp, harpsichord, cymbalum, double bass, 5 cubic unique interfaces, premièred in 2014, Montréal, a commission from the Canadian Council for the Arts. Web art, including Réseau, a multimedia piece with the Belgium artist Véronique Binst using web art, cyberperformance, live coding web, electroacoustic music, molecular cuisine and live video projection played in Mons, Lyon and Montréal. Live electronics musician, playing regularly in my own piece and I have a duet named VibraLib with an excellent trumpeter from Montréal, Frédéric Demers. Bassoon with live electronics free improviser, regularly playing in Europe and Canada, solo or with small and large ensembles including the London Improvisers Orchestra. Here is my artistic website, and here my biography.